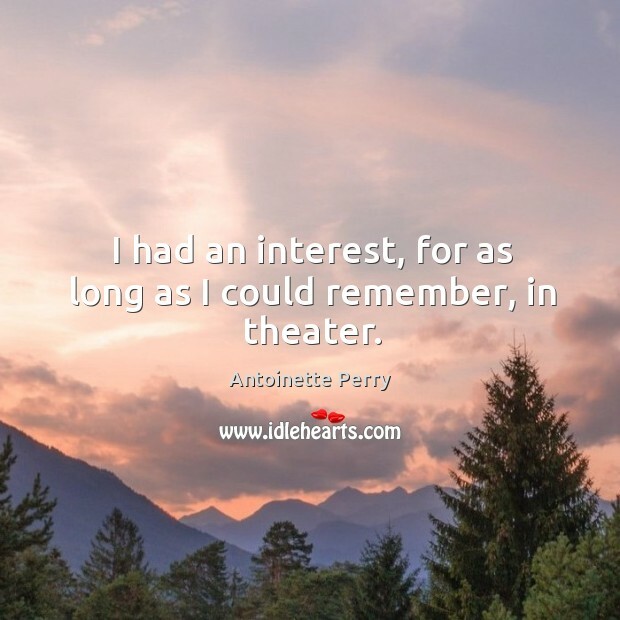 Enjoy the best inspirational, motivational, positive, funny and famous quotes by Antoinette Perry. Use words and picture quotations to push forward and inspire you keep going in life! Why, when I was a child, I didn’t say, as most children do, that I was going to become an actress. I felt that I was an actress and no one could have convinced me that I wasn’t! 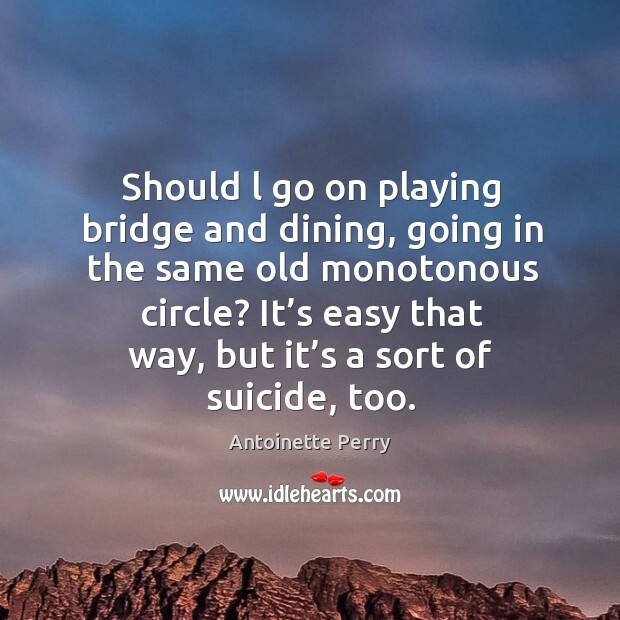 Should l go on playing bridge and dining, going in the same old monotonous circle? 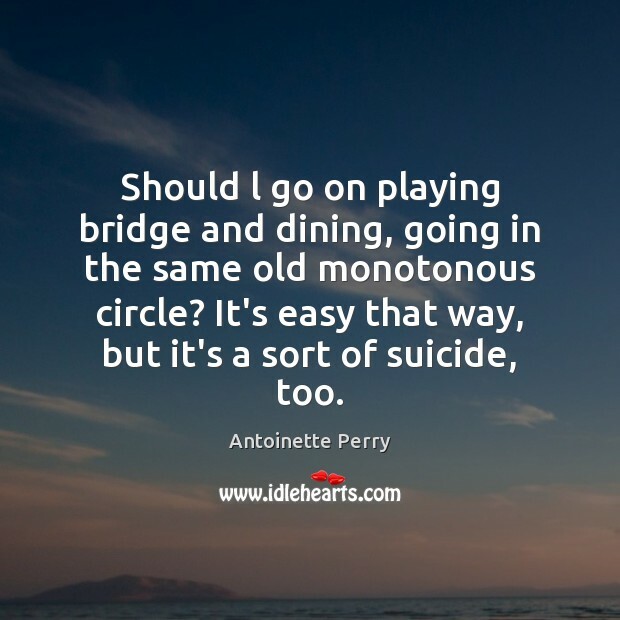 It’s easy that way, but it’s a sort of suicide, too.